Hello, good morning, and if you're a Game of Thrones fan please brace yourself for this Kit Harington/Jon Snow update. 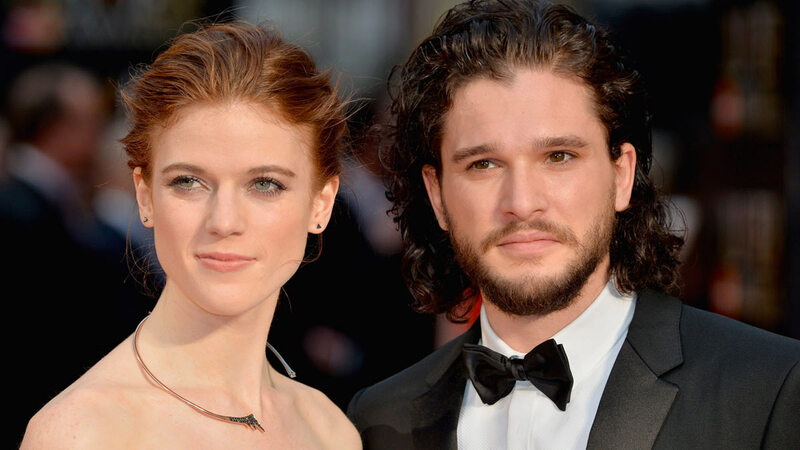 According to ET Canada, Kit is now defending himself against accusations that he cheated on wife Rose Leslie, who he married in June 2018. The cheating rumors began when Russian model and actress Olga Vlaslova shared a photo online of who she claimed to be Kit Harington, very naked and asleep on a bed with a laptop next to him. Olga also claimed that she met Kit in Luxembourg, where the two "hit it off" and began an affair, sleeping together on multiple occasions, both before and after he married Rose. This lead a Russian publication to report on the alleged affair, and now Kit is responding with a resounding "Idk what you're talking about lady." Kit's reps replied with a statement saying, "The allegations in this story are completely false. He's never even been to Luxembourg nor has he ever met Olga Vlaslova." And honestly, that's a relief because clearly Kit/Jon and Rose/Ygritte are meant to be—not only was their wedding the most adorable thing, but they also sent out Game of Thrones themed wedding invitations. And if that's not true love, then I don't know what is!